I have 28 years of experience in the grooming field and a lifetime of experience with farm and domesticated animals. I can do the grooming or you can bath your Fur Baby yourself using our self-service wash stations. I also offer dog boarding so you can work and travel without worry. 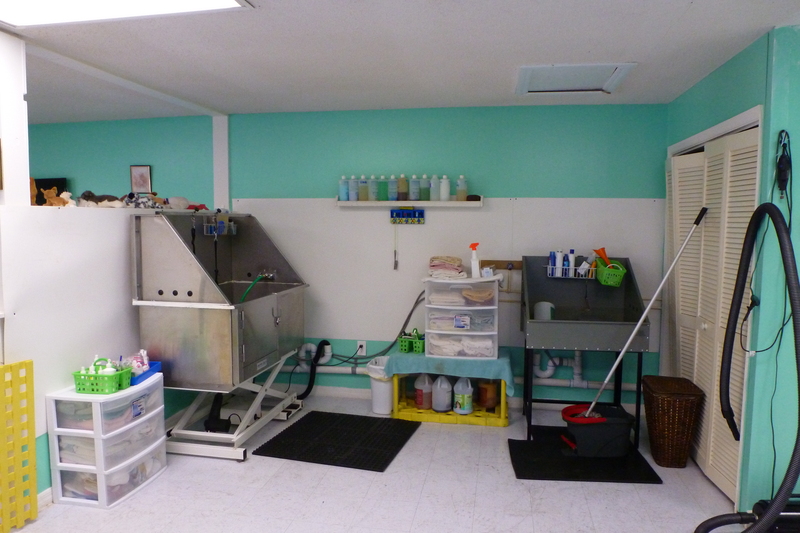 All Fur Paws Grooming & Boarding is located at 4443 S Pleasant Grove Road in Inverness, Florida. We specialize in keeping your fur baby fresh, rested, and well-loved. CALL (352) 419-6909 TO SCHEDULE! Keep your animal looking great, feeling good, and smelling better—bring them to Brenda, a true professional with gentle techniques and 28 years of experience. Services start at $42 per grooming. Prices may vary according to the condition of the pet’s coat and the hairstyle as well as the pet’s general temperament. When you talk to someone at All Fur Paws Grooming & Boarding, you’re talking with Brenda who knows and loves dogs. Here at All Fur Paws Grooming, we do everything we can to set your dog at ease so that they don’t experience the anxiety that’s commonly associated with boarding. Loving care. 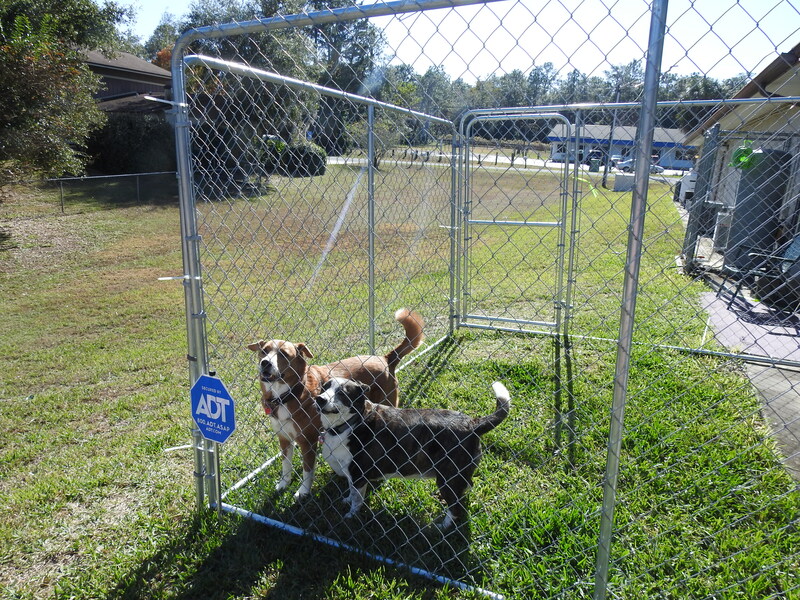 Dogs are let out into a fenced-in yard three times a day. *Due to sensitive stomachs that often accompany a change in routine, we ask that you bring your own food and treats. *All Fur Paws includes a free bath to animals staying 7 days or more. The benefits to self-service pet washes are many. If you’ve ever washed a dog at home, you’re familiar with the mess and backaches that can be left in its wake. Not only that, do-it-youself dog washes are remarkably affordable. At All Fur Paws Grooming & Boarding, Brenda will take each dog’s individual temperament into account and develop a rapport that translates into a happier bathing experience for your pet. Plaque build-up left untreated can harden and become tartar. Over time the build-up creates pockets where the gum is forced away from the teeth which can lead to gum disease. PlaqClnz is a non-anesthetic teeth cleaning treatment designed for dogs and cats of all ages. It is a 3 step process. The first step is a pre-treament for your pets mouth during check-in. The next step is to gently flush your pets mouth with the PlaqClnz oral irrigator during the bath to remove plaque and debris. I then post-treat with a plaque gel for continuous cleansing care. *At All Fur Paws, PlaqClnz treatments are 100% satisfaction guaranteed. Treatments run $40 to $60. Call for further details. Do you know where your pup will get the treatment he deserves while you’re out of town on vacation or business?